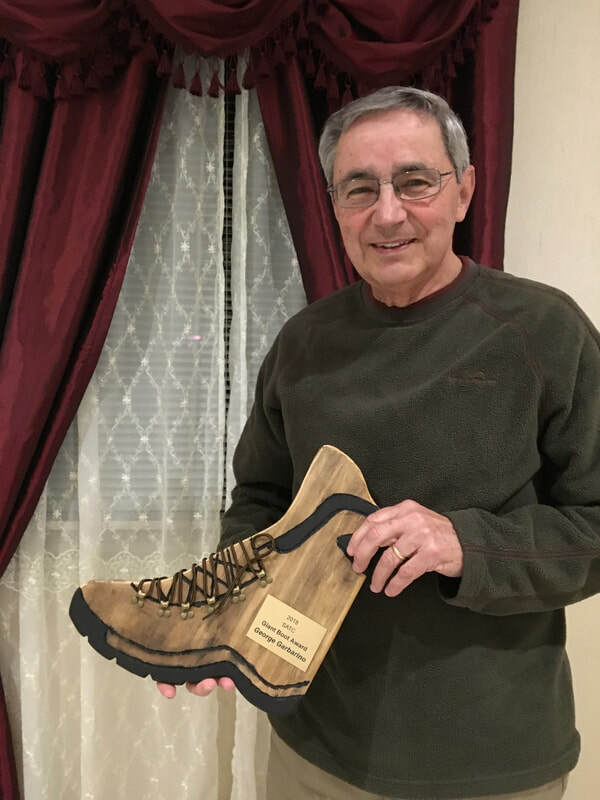 The Giant Boot Award provides an opportunity for SATC to recognize a member for extraordinary service. 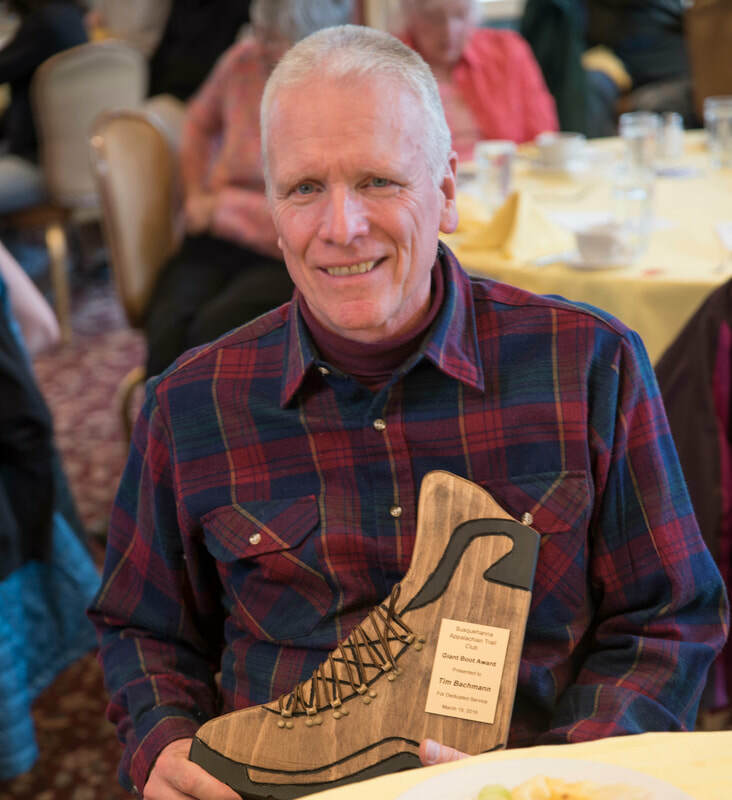 Those being considered for this award must have demonstrated a long-term commitment to SATC; have made exemplary contributions to SATC (as a board member, hike leader, trail maintainer, work with trail issues, etc. ); and have performed significant service hours independent of any paid professional duties. 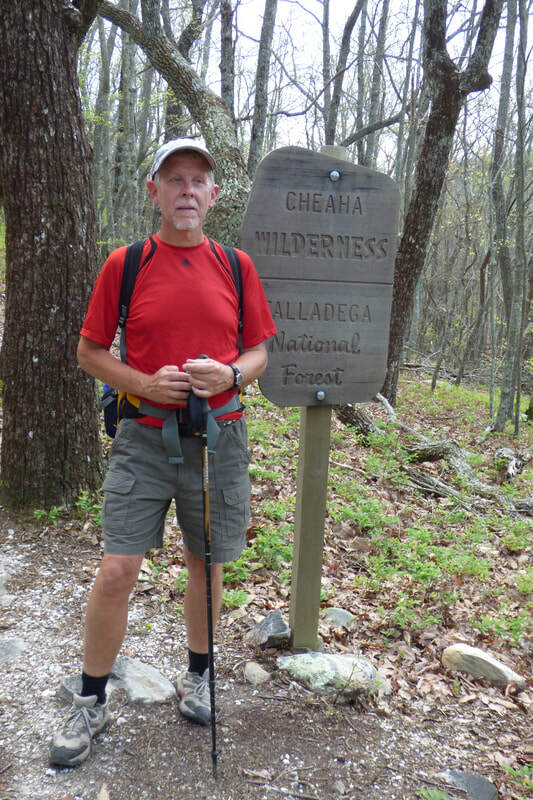 Other qualities could include, leadership skills, inspirational quality of volunteer work, innovative quality of volunteer work, and/or affecting trail issues beyond local issues. 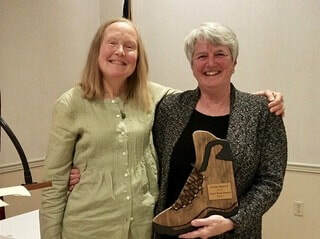 The award is presented at the annual banquet in March.